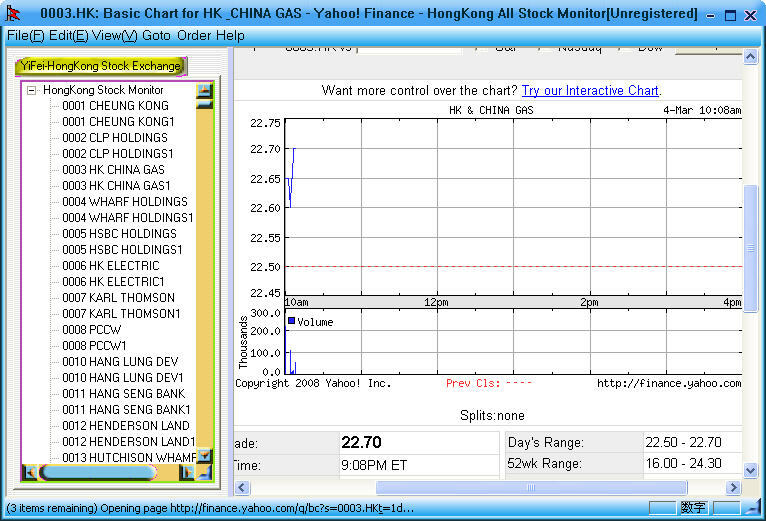 Browse all 1300+ public companies stock exchange information in HongKong directly. The HongKong All Stock Monitor allows you to browse all 1300+ public companies stock exchange information in HongKong directly. A very quick and easy way to stay in touch with your favourite public companies stock in HongKong. browse your stocks in just minutes and few clicks. Anywhere in the world! it easy to browse of your investments over the Internet. Gets quotes for stocks, public companies stock Summary, Company website,and other info. Free Upgrade for all buy users! HongKong All Stock Monitor allows you to browse all 1300+ public companies stock exchange information in HongKong directly. USA All Stock Monitor - browse all 1900+ public companies stock exchange information in USA(Public, NYSE and Public, NASDAQ) directly. GST-VAT Invoicing - a complete sales management system that includes: invoicing, inventory management, automated billing, mailing list management, and sales tracking. GSA Buchhalter - The GSA Buchhalter is a software for all self-employed persons and small companies who do not need a double entry bookkeeping. GST-VAT Accounting - It is an easy-to-use accounting system designed specifically, for use by small and home based businesses that need to track collection and payment of Goods and Services Taxes (GST) or Value Added Taxes(VAT). Simple Business Accounting -Designed for business owners, not accountants, OWL Simple Business Accounting (SBA) makes bookkeeping quick, easy and affordable. Unlike double entry systems, SBA's single entry method is intuitive. Master Investor - Investment Management and analysis software for individuals and professional money managers.It is a fully integrated system that combines portfolio management with technical analysis. Simple Business Invoicing & Inventory - Designed for business owners, not accountants, OWL Simple Business Accounting (SBA) makes bookkeeping quick, easy and affordable. Unlike double entry systems, SBA's single entry method is intuitive.